Our cook preparing beetroot grown by the children! In the summer of 2016 we transformed our playground into an Edible Playground. 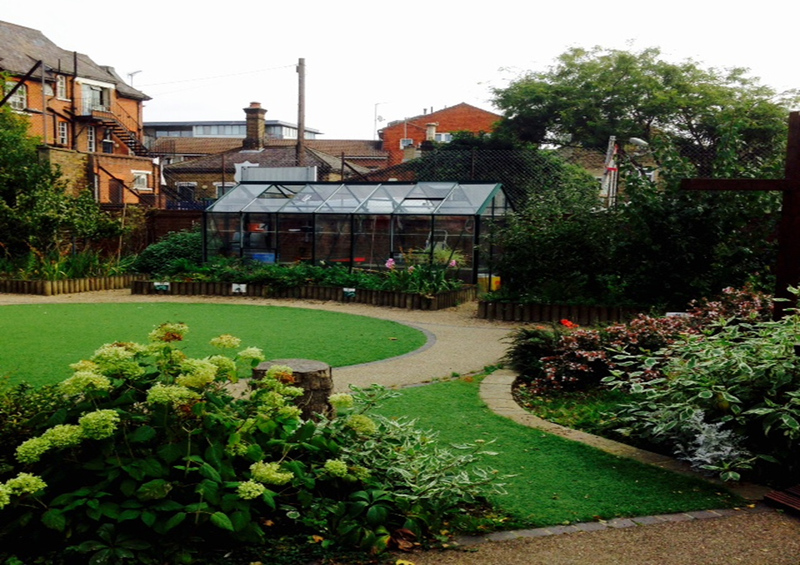 We transformed the school grounds by creating lots of green space for the children, including a running track in the middle to get our children active. 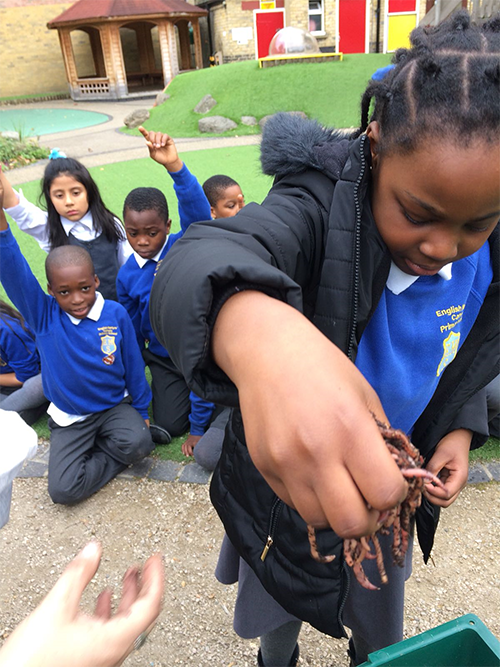 The school grounds are now a vibrant outdoor space for playing, sport, growing and education! 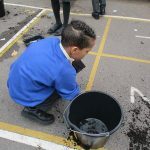 By transforming our school into an oasis for growing fresh fruit and vegetables we are installing the principals of eating healthy food in our children, so we can tackle childhood obesity. 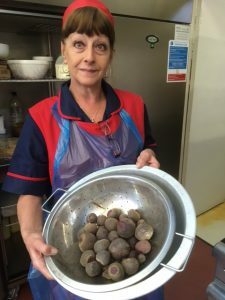 Once we had our first harvest were very excited to present it to our wonderful school cook. 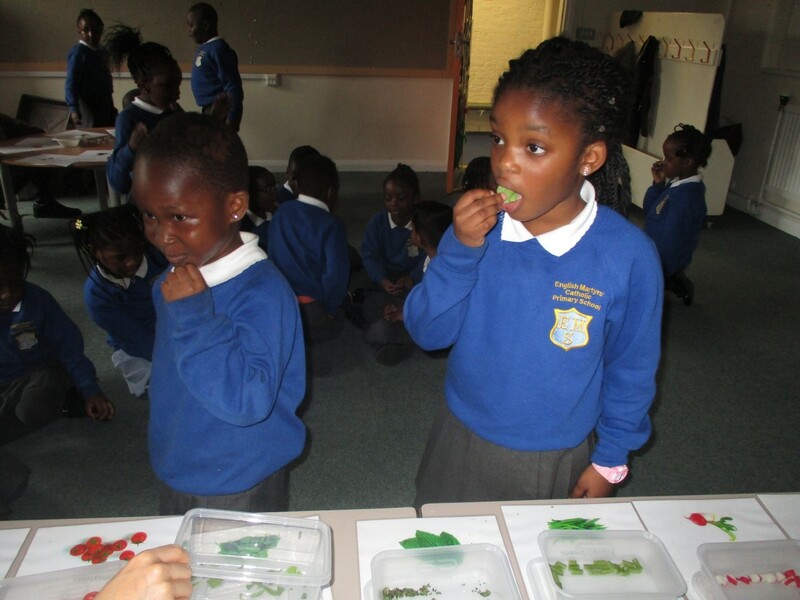 We presented our very own grown beetroot and had it as part of our salad bar. 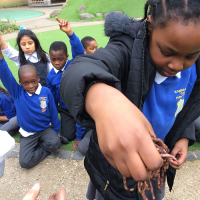 Healthy eating and the new garden has become embedded in our school’s curriculum we have gardening champions so all children will be involved in the garden. Despite there being potentially some problems in having a two site school we are now proud to say that we have two beautiful gardens on each site and two greenhouses for propagation. 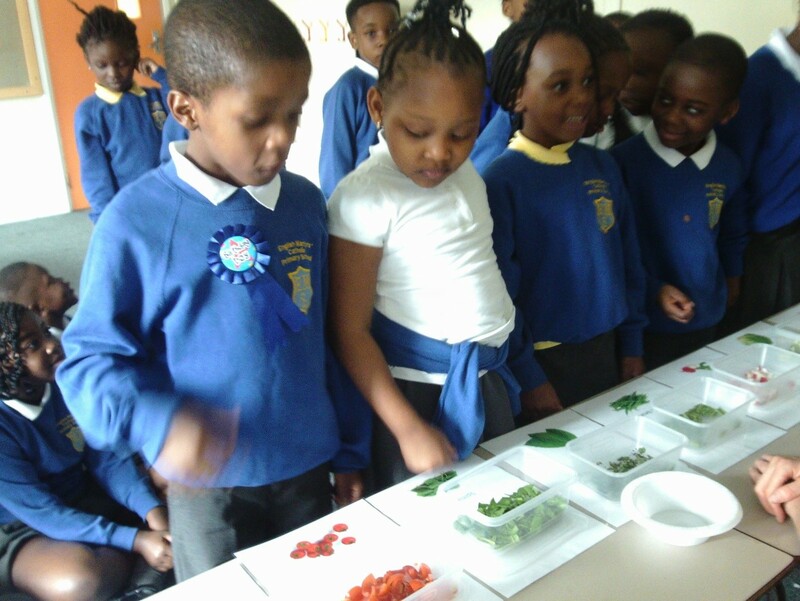 The whole process from seed to plate will be shared with our children. 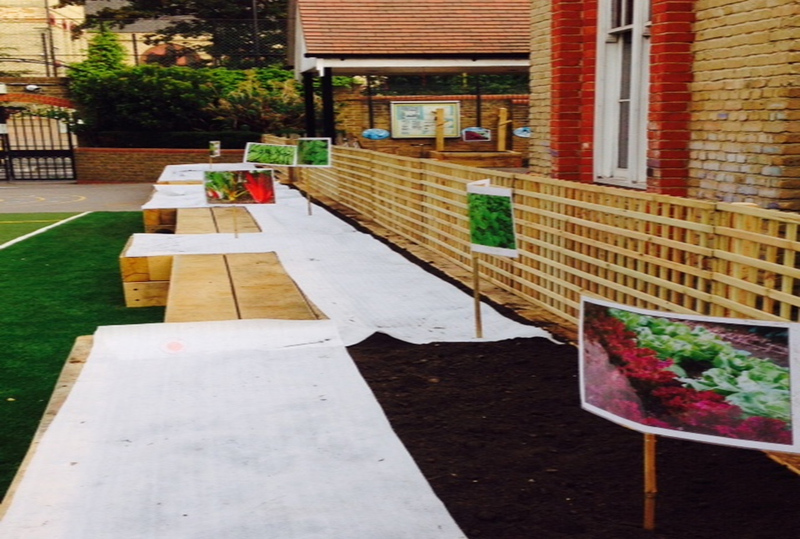 English Martyrs now has an edible playground, we’re growing plants for the children to eat! 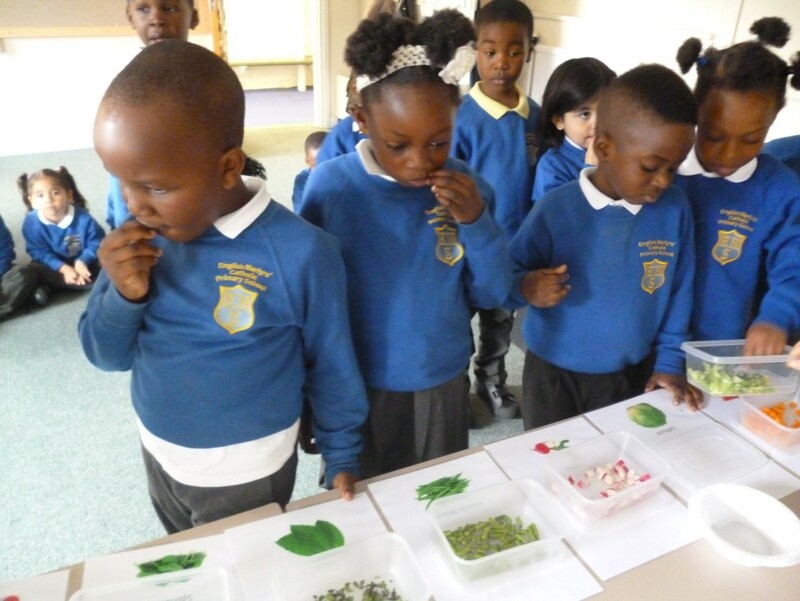 In the pictures below, Year 1 and 2 have been tasting a variety of healthy foods! Which one was their favourite? 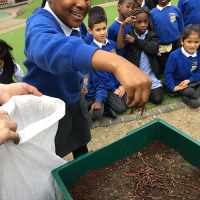 EMS have now got a Wormery! 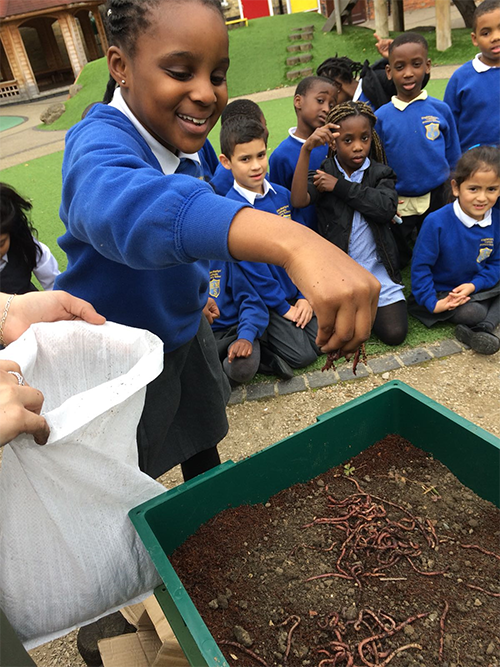 Year 3 are supervising and have added the worms to their new home! 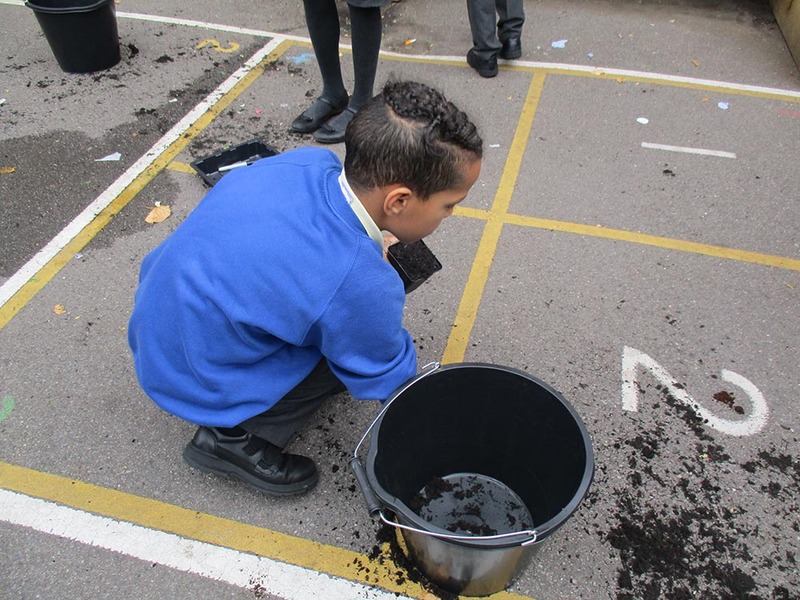 This will make compost for our garden, to keep our plants healthy. 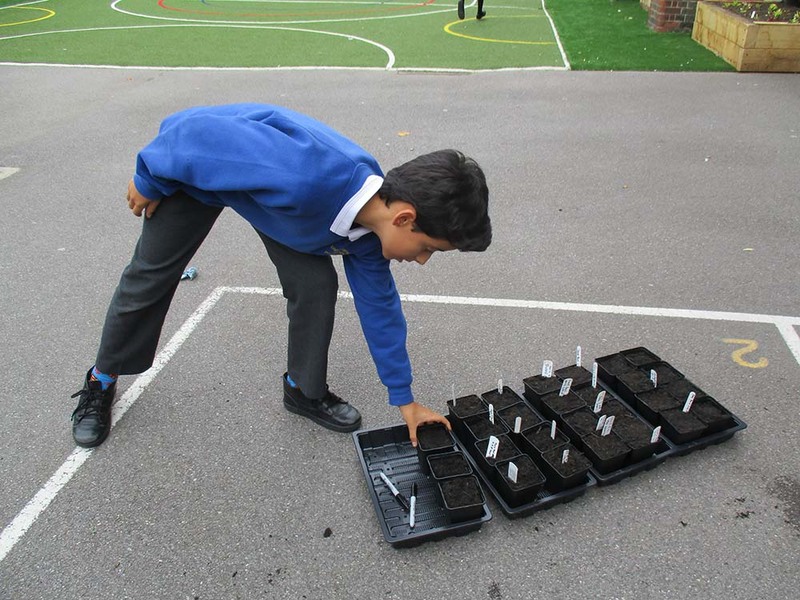 Here are a couple of pictures of some of our year pupils planting new crops for our edible garden. 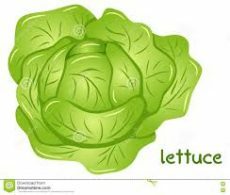 We had some lovely lettuces growing in the spring / summer term and when they were ready to harvest we also presented them to our school cook and they have been prepared for pupils and staff to enjoy. Our spinach was also ready to be harvested. We are so proud of all the hard work the pupils have put into looking after and maintaining our crops, it is lovely seeing them grow. 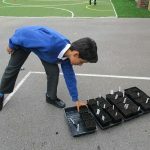 Our plants and vegetables have been growing beautifully and we hope you parents have been noticing the hard work that the pupils have input and the nurturing they have shown. 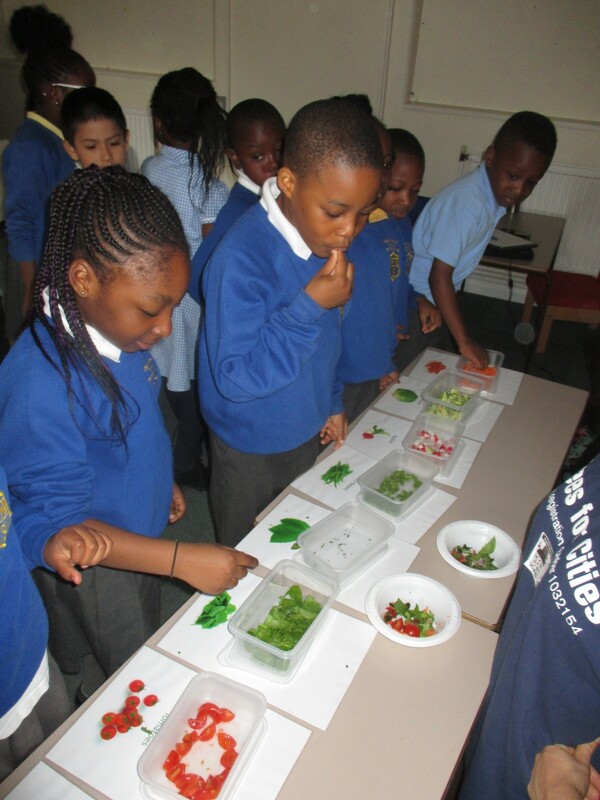 Please see some updated photos of the pupils presenting the school cooks with their latest produce.